Most musicians have a need to perform solo once in a while, and the piano is definitely the most suited instrument to do that, because of its possibility to play chords and melody at the same time. The setting itself and the forced isolation, make some musicians more meditative and introspective than when they play in a band. 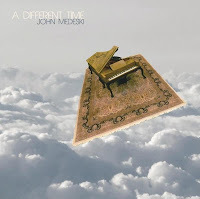 Some of the musicians below, like Satoko Fujii and John Medeski clearly go that route, offering interesting new perspectives on their music, or others dive into the past of both jazz and classical music to interpret the great heritage we have. If I'm not mistaken, this is Satoko Fujii's third solo album only, after "Indication", released in 1996, and "Sketches" from 2004, and this despite her prolific output of more than seventy albums. One of the big differences with most of her other albums is the calm and impressionistic approach to sound we get here, as opposed to the well-balanced sense of expressionist dramatic music we know from her. No urgent story-telling here, but rather well-paced and precise beauty. The imagery it conjures up is still unique, reflecting internal and external worlds. The album starts with the eery sounds of the title track, "Gen Himmel", which means as much as "toward heaven" in poetic German, sounds produced by working on the inside of the piano, who suddenly disappear into the background when just a few calm and meditative piano chords take over, as a natual intro into the next piece "In The Dusk", an impressionistic, soothing sonic environment, more classical than jazz in a way. "Hesitation" brings a strange left hand with scales going up and down, supported with chords played with the right, a juxtaposition which makes you wonder indeed how this piece will evolve, yet it doesn't. "Take Right" is an amazing piece, it starts with clear single notes played inside the piano or with half-muted strings, and evolves into a playful dance full of counterpoints and clashing waves between jazz and classical music. "Ram" is built around a carefully paced and slightly altering three-note phrase, that is countered by scraping on strings inside her piano. 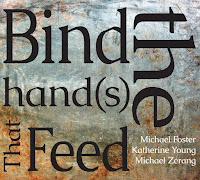 "A.S." is more lyrical, played with a broader pallette, with Paul Bley coming to mind, a beautiful and calm piece, and Fujii shows her skills to keep the attention going by offering great variety in emphasis and even adding some sudden dissonant chords in the middle of the piece, just to break the patterns and challenge her own improvisation. And we could go on. 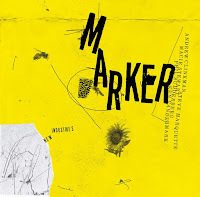 This is a very strong album : personal, coherent, varied and clever, bringing music that is both eclectic and sensitive, accessible and compelling. 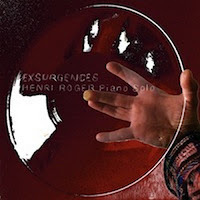 Henri Roger is a self-taught pianist, guitarist, drummer and composer with a long track record in modern music, and if I'm not mistaken, this must be his fourth solo piano album. This one is vinyl only, with an accompanying DVD. 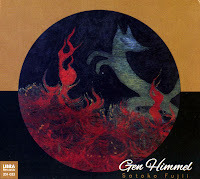 The theme of this album is the way of underground water as it moves up to the surface. The DVD is actually longer than the LP, with the visual part consisting of videos by Anne Pesce, evocative accompaniements, ranging from a long travel around a globe, visiting just dots of unrelated cities to high speed travel in a car without being able to see too much what's happening. All videos can be viewed here. Pianist Thollem McDonas is probably a little bit underrated, including on this blog, and that's maybe because even for readers of this blog - and at least for this reviewer - his music is hard to pigeonhole, which is a great thing by itself, but we need to keep some guidelines as to the actual profile of this blog too. McDonas is very much in his own category, deliberately unwilling to fit in. 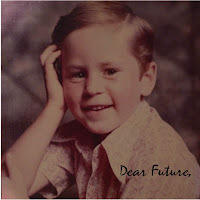 Anyway, "Dear Future", suffers/benefits from the same aspects: the album is a collection of tapes by the pianist ranging from his educational years, including great classical pieces from Scarlatti, improvisations on Debussy, a vaudeville lyrical declamation over rapid-fire Bach or some similar sillyness on Skriabin, and a bunch of musical explorations mixing styles and modes and moods. It all sounds indeed like a young musician trying to get rid of the past while starting to create his own voice, or rather, digging it up in the debris he's created. Yet at the same time, this makes this album also unique and quite interesting in its authenticity, because indeed it already encapsulates some of what's to come. A peripatetic idiosyncratic iconoclast constructivist ... and we like it. Only 100 albums available. It is totally weird. It is totally weird to hear this album and then think about the musician hammering away on the organ with Medeski, Martin & Wood. 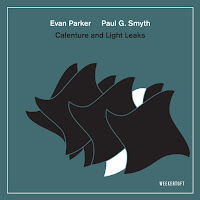 The album is released by Sony, but it sounds like ECM, unfortunately with artwork of such an ugly nature that would never be mistaken for an ECM album. 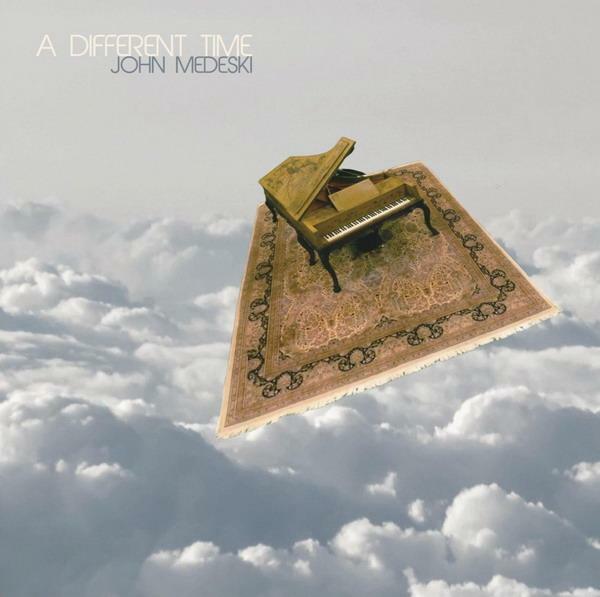 Medeski plays quiet, calm and meditative pieces, including two covers. The end result is surprising, but not essential. A personal different face, or the introvert impressionist melancholy hidden side of the extravert expressive power player. Nice for quiet evenings, good background music, but nothing more. We prefer the other side of Medeski. This is really too mellow. 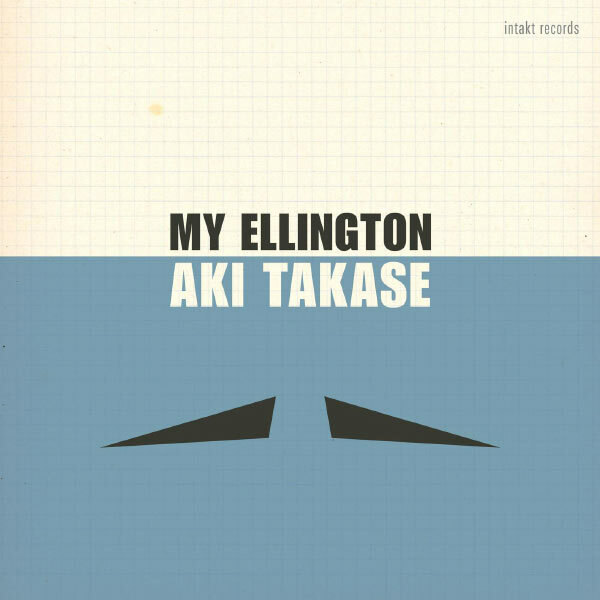 Another great album released this year, is Aki Takase's tribute to Duke Ellington, sounding like a greatest hits of the master, played by solo piano. The album starts with "The Mooche", and you get "Caravan", "It Don't Mean A Thing", "I Got It Bad And That Ain't Good", "In A Mellow Tone", "Love You Madly". To Takase's credit, her interpretations are really great. 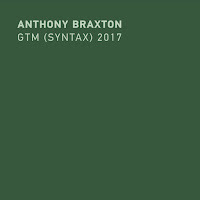 She deconstructs the themes as you could expect, gives hints of the swing, gives chordal playfull switches of the arrangements, and just plays with the material for what it's worth, making it jazzy, bluesy, stomp or avant-garde, or just intimate and introspective, as in "Solitude". With "Caravan", it takes about a minute-and-a-half before the piece's theme is actually played. 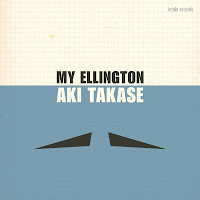 What is even stronger, Takase not just gives her own take on these Ellington originals, you hear jazz piano history, from Scott Joplin over Oscar Peterson, Thelonious Monk and Cecil Taylor. 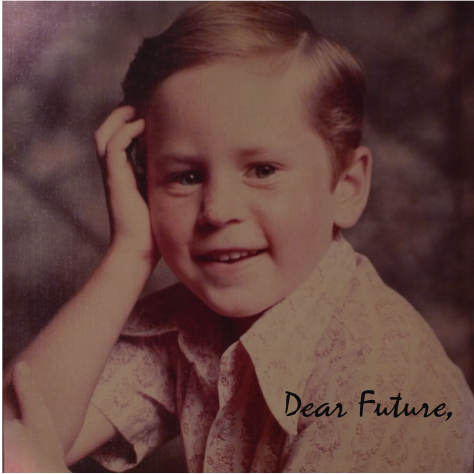 Yes, it's an exercise in style in a way, but equally an highly enjoyable album in its own right. Despite all her skills, the overall result remains somewhat musically non-committal. 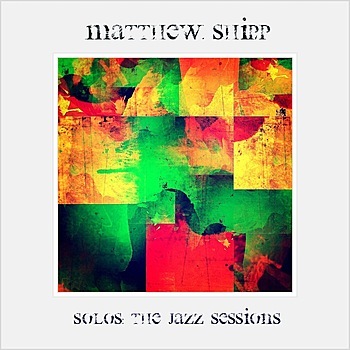 "Hi, I'm Matthew Shipp. I am a pianist and a composer. I play new music. New music means music that is new". That is the intro to the now available mp3 version of a former DVD release with the same name. The album has some more short interviews and new takes on some of his earlier compositions, such as "Greensleeves", "Symbol Systems", "New Orbit", "Before The World", offering the album some kind of documentary value, which by itself is not bad, although it destroys the continuity for listeners. 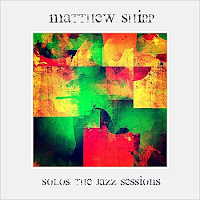 As such, the CD release remains a kind of educational introduction to Matthew Shipp, but not really an album in its own right. The DVD can be ordered directly from Original Spin. 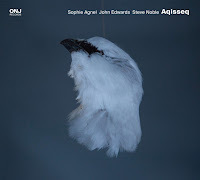 The mp3 version is available on iTunes and Amazon, and here on eMusic. We're all looking forward to his upcoming "Piano Sutras" solo piano album, later this month. Most of these albums can be purchased from Instantjazz.